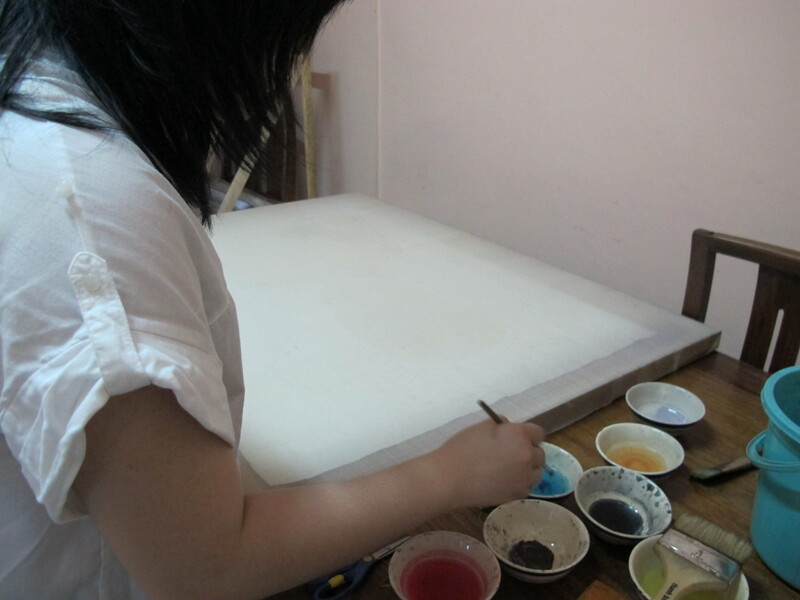 A Peek into a Vietnamese Painter’s Studio | Hello Saigon! ← Carl’s Jr. is Now Open! It was still early when I went to Le Hoang Bich Phuong’s home in District 5 for a short interview that I decided to explore the Tran Hung Dao Street stretch a bit. When it was nearly time for the interview, I decided to cross the street at the pedestrian lane because there were motorbikes crisscrossing, zipping away along the street and I didn’t want to risk it. 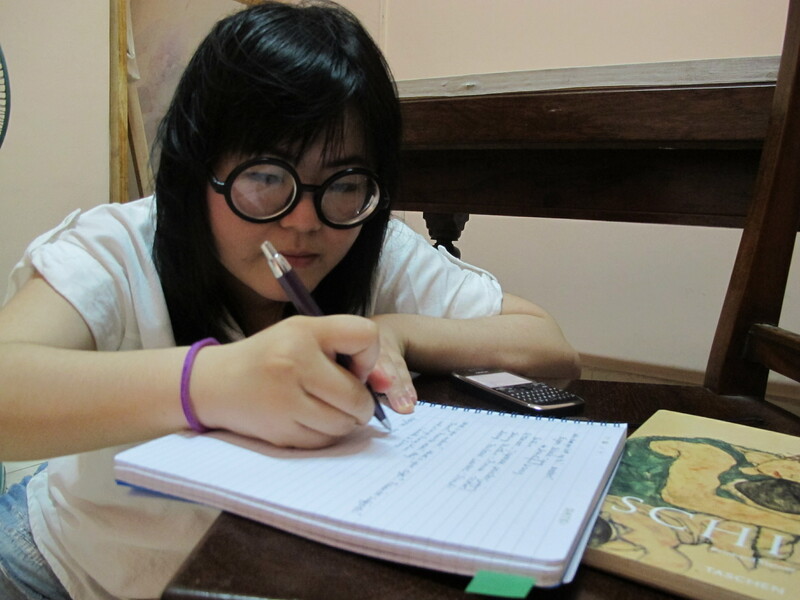 But as I was passing by Phuong’s home, she spotted me. I waved but I was at the opposite sidewalk! Seeing that I was having trouble crossing the street, this 26-year old young painter came to my rescue. I liked her already. 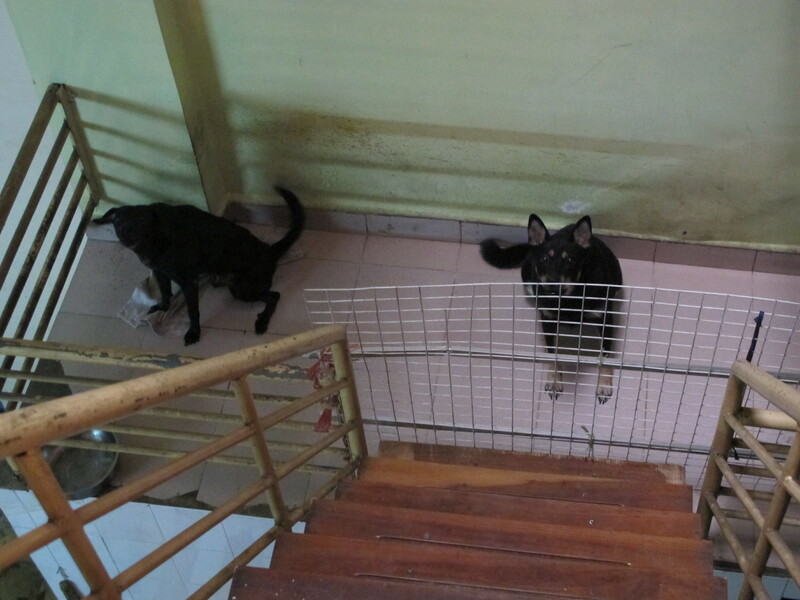 The bubbly silk painter ushered me into her home where her two terrifying black dogs welcomed me. Her studio is located at the second floor of her home. Pushed back in one side of the studio is a work table wherein lies the current project she’s working on. Sitting comfortably on the studio floor, I conducted my interview and she would write in my notebook ever so often because I don’t know how to spell the names of famous artists she was raving about. I have got to admit I am no expert in the arts. One of her favorite artists is the 20th century Austrian painter, Eric Schiele whose book is shown on the right side of the photo below. 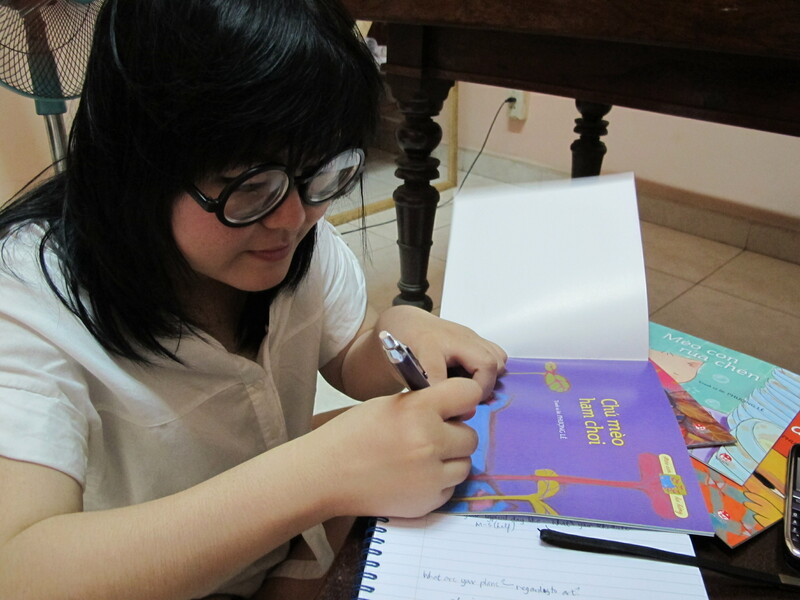 Phuong is also a children’s book author illustrator. So envious! Wish I can do illustrations too so I can create children’s books myself! She signed me a copy for my son! Thanks Phuong! 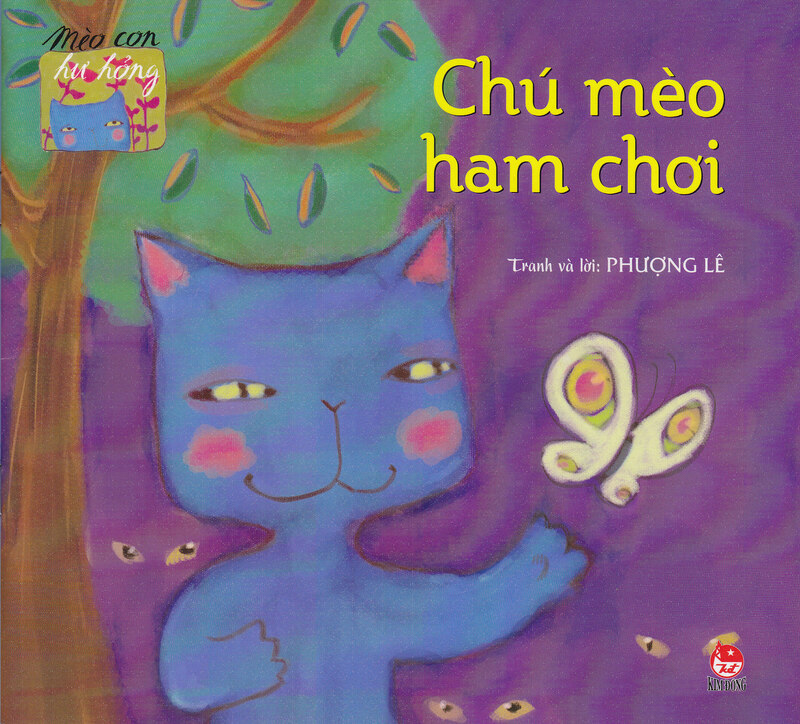 It’s entitled Chu Meo Ham Choi and is about a naughty cat who got sidetracked because of too much play and had to find his way home. 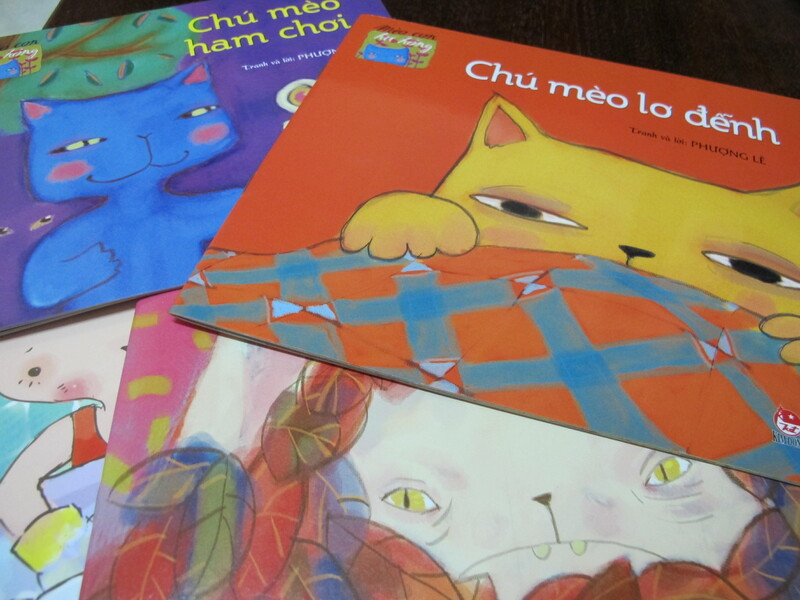 I love the vibrant colors of the illustrations! 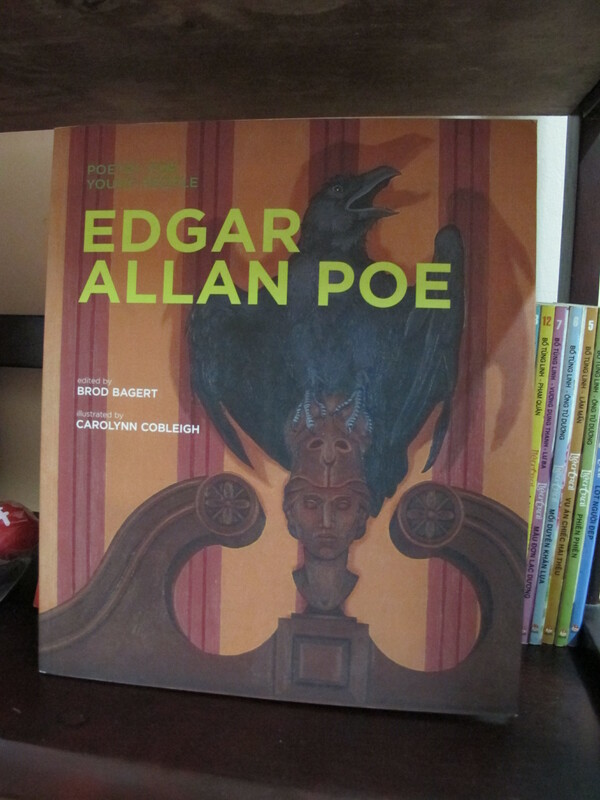 and my favorite Edgar Allan Poe. 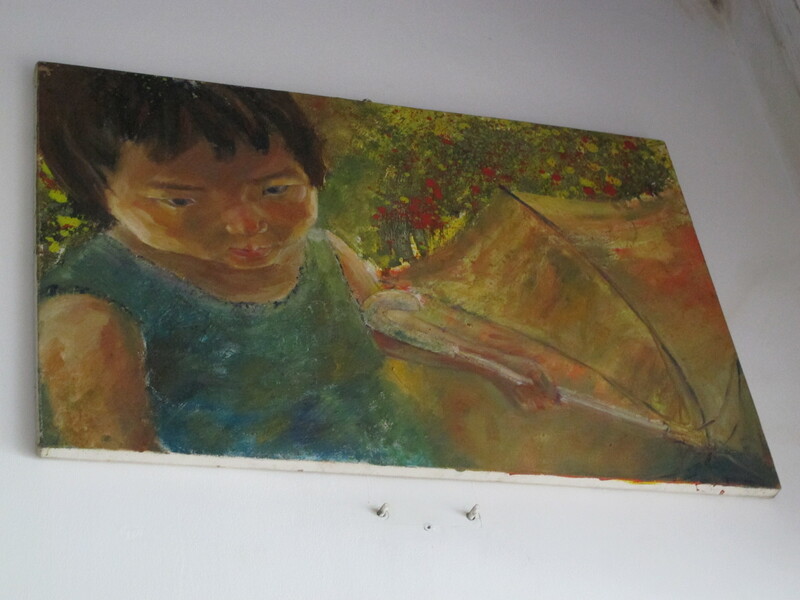 The walls of her home is adorned with her works. Below is something she did when she was still in school but I really like the strong way the blues were used. This one reminds me of my sister Ria. 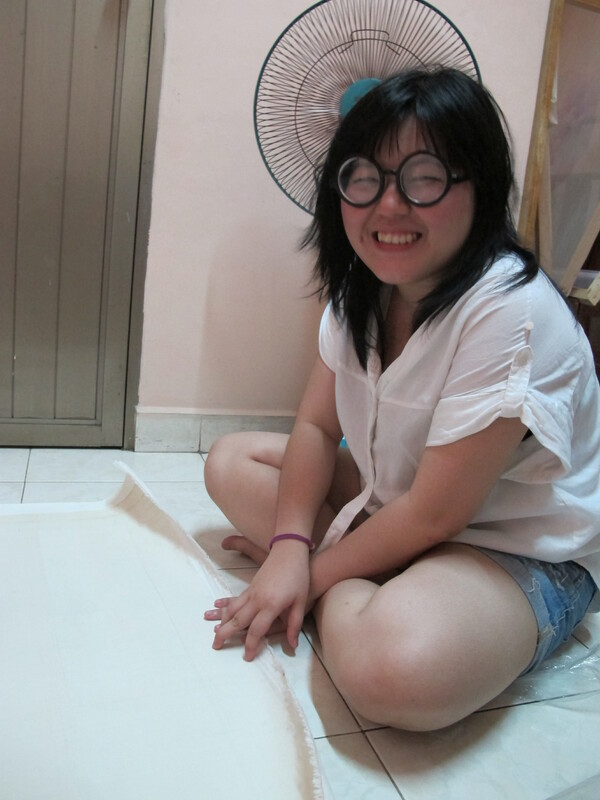 Phuong is focusing in silk painting which takes a lot of patience because it entails a lot of painting-drying-painting method. Depending on the size, she can finish a work from 15 days to 2 months. We wrapped up the session after more than an hour and it was really nice meeting Phuong. She’s heading for Japan by mid-July for an exchange program and hopefully I get to meet her again. 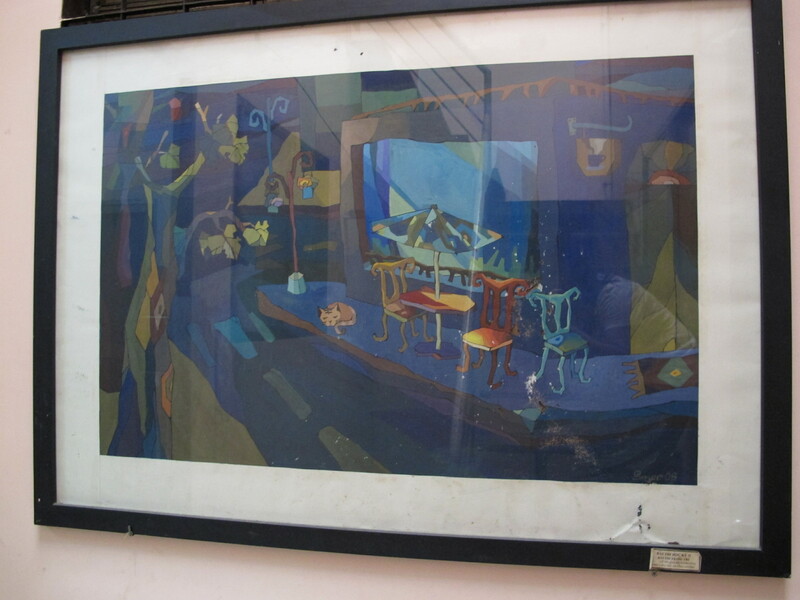 This entry was posted in Exploring Saigon, Getting to Know Your Neighbours and tagged Le Hoang Bich Phuong, silk painter. Bookmark the permalink. Pingback: Tickled Pink! | Hello Saigon! 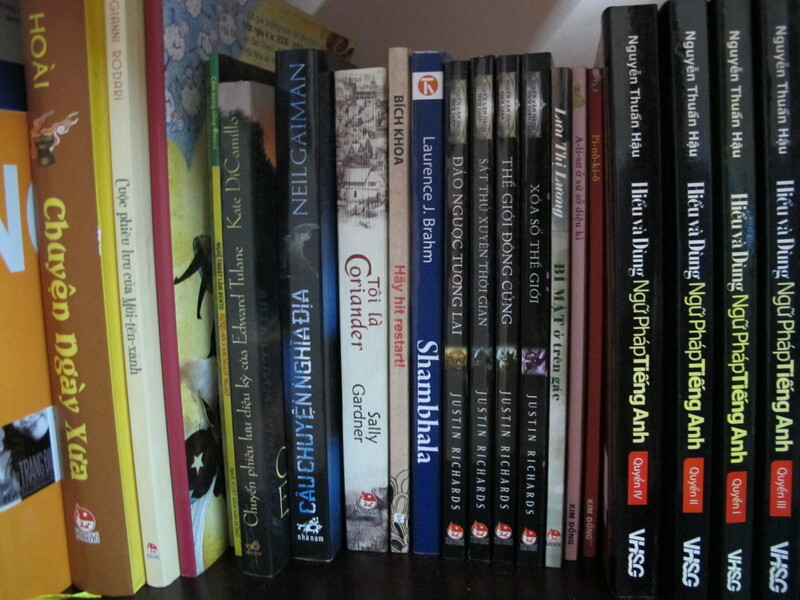 Pingback: Word HCMC this May | Hello Saigon!